Are You There, God? It’s Me, Superhero. Anyway, I bring it up because my five-year-old son has been going through something similar, except he’s obviously not looking for Aunt Flo. The young man is dying to lose his first tooth. DYING. Most of his pals have gaping holes in their mouths where their baby teeth once nestled. Some have lost two. Or three. Or FOUR, even. But he’s still got a mouth full of wee chompers. Lately, he’s started flicking his bottom teeth with his fingers. Hard, too, as though he’s trying to snap a paper football through a goal post on the other side of the world. But much to his dissatisfaction, those baby pearly whites are holding on tight. He was a little late to get his teeth as a baby, and with a July birthday, he’s younger than almost all his classmates. So, it may still be a while for my young lad. This is the first real, tangible time I’ve seen Superhero aching to grow up. I know it won’t be the last. I hate to tell him how impatient he’ll be when he’s the last one to driving. 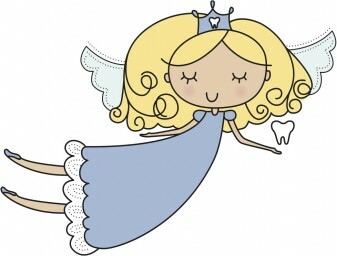 At any rate, the Tooth Fairy is on standby. She assures me she’s got an Abraham Lincoln or two stashed away for that first tooth. Patience is a virtue that sometimes come with rewards. On a personal note, I hate dealing with lost teeth. They’re disgusting. No, I don’t want to touch it. And I’m DARN sure not saving it. I’ve never done the tooth fairy thing. I’ve always been like “Wow! That’s great! Now go throw that thing away and get a dollar from my purse.” They could be robbing me while their grimy hands are in my wallet. But who cares. At least I don’t have to touch the nasty teeth. This entry was posted on May 13, 2015 by Maisy Fernandez in Kids, Kindergarten and tagged kindergarten woes, late bloomers, loose tooth, losing teeth, tooth fairy.